Howell is on the fast track to vying for their fourth-straight sectional championship – and they’re laser focused on that feat. It was all evident Wednesday night when Howell rallied behind Shane Reitsma and Christian Murphy to knock off Toms River North, 34-26, to move onto the South Jersey Group 5 sectional championship later this week. Reitsma grabbed a second period pin at 170 pounds and Murphy followed that up with a first period pin of his own at 195 pounds to cap off a 15-point swing and jolt the Rebels in front. Wednesday’s win also marked the 77th-straight dual match win for Howell. The win sets up a rematch with Southern in Manahawkin. Howell last defeated Southern, 33-15, in last year’s Group 5 final at RWJ Barnabas Arena in Toms River. 132: Darby Diedrich (H) by forfeit. 220: Joe Sardina (H) won by DQ over Vincent Palmieri, 3:57 (Stalling). 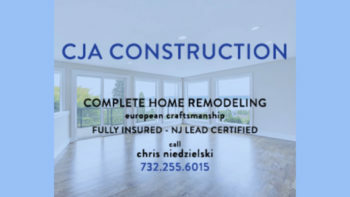 Jersey Sports Zone’s coverage of all Toms River North athletics is brought to you by CJA Construction!